Since launching the gift box set at Christmas 2017, it has been met with rave reviews. It made me tear up lol. The old adage of "men don't cry" apparently only applies to men who have no tear ducts haha. I was so engulfed in the emotions of Gabriel within a few pages of the book that I forgot that I was in work on nightshift and in full view of a few manly driving men who are big and tough and don't show emotion haha. Before I knew what was going on with my eyeball moisture makers, I had already wiped my eyes twice, it took me right back to my childhood when I was in a similar situation (without Gabriel and Gladys lol) and around 7 or 8 years old. Mr McCabe has managed to hit me straight in the feels without so much as a warning on the front or back covers lol. My wife and I both read a lot and we both agree that this will be our child's first Christmas story (still working on the baby 😉) and we have also sent the box sets to all of the kids in the family. The Christmas Present isn't just a Christmas story to get kids in the mood for Xmas, it's also a life lesson for them too. Absolutely gorgeous. The whole set looks and feels like great quality and the story is lovely. Children would treasure this set. What an amazing story, beautifully written and shows the real meaning of Christmas. A must have! Beautifully presented in a gift box with an adorable snow globe. Can’t wait to cuddle down with my kids on xmas day with this wee gem. The gift set is beautiful. 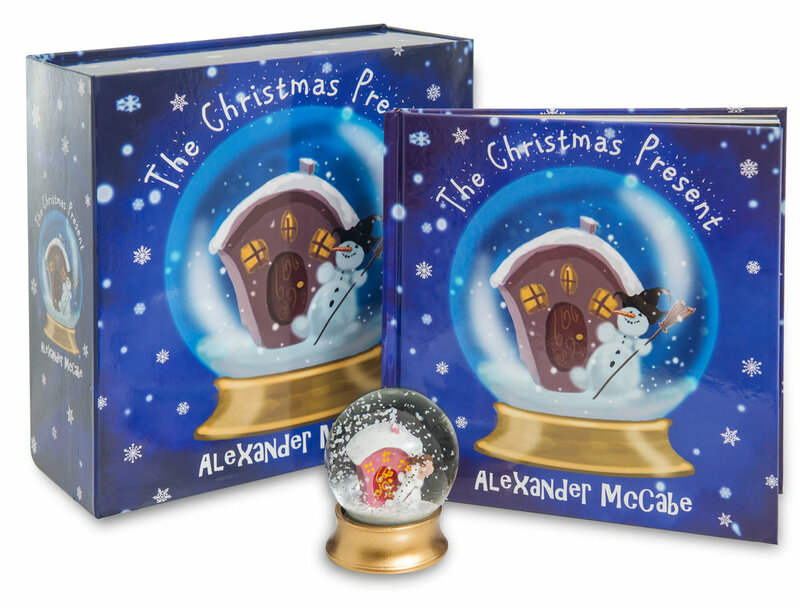 The book is well written with lovely pictures and the snow globe is a perfect size for my little girl to hold. Every house should have one for Christmas.